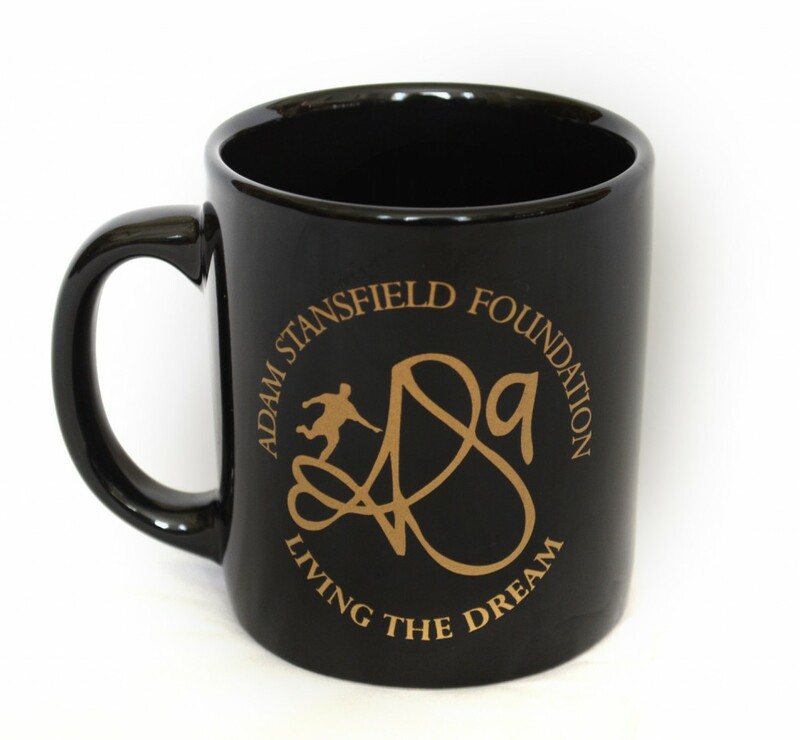 Our gold metallic printed Adam Stansfield Foundation black gloss mug is ideal for in the office to show your support of the Foundation. Great size for the perfect cuppa. Great quality porcelain mug. Black with gold logo.